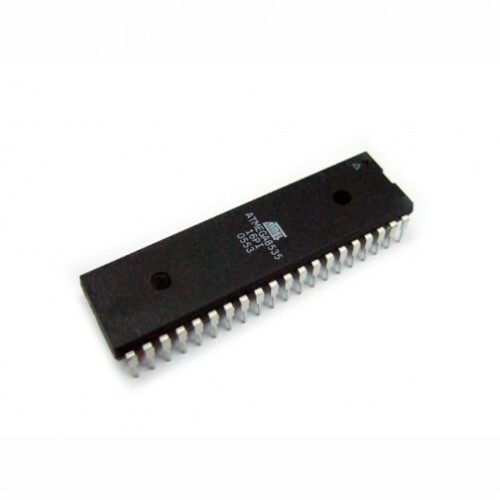 The ATMEGA8535 is a low-power CM OS 8-bit microcontroller based on the AVR enhanced RISC architecture. By executing instructions in a single clock cycle, the ATMEGA8535 Microcontroller achieves throughputs approaching 1 MIPS per MHz allowing the system designer to optimize power consumption versus processing speed. 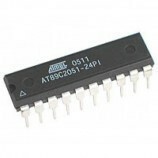 Atmel Corporation is an American manufacturer of semiconductor, founded in 1984. The company focuses on embedded system level soluation built around flash microcontroller. 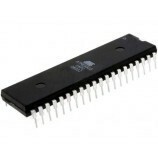 Its products include microcontrollers (8-bit AVR, 32-bit AVR, ARM-based, automotive grade, and 8051 derivatives,) radio frequency (RF) devices including Wi-fi, EEPROM, and flash memory devices, symmetric and asymmetric security chips, touch sensors and controllers, and a number of application-specific products. 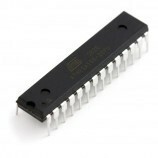 Atmel supplies its devices as standard products, ASICs, or ASSPs depending on the requirements of its customers. Atmel serves a range of applications including consumer, communication, computer netwoking, industrial,medical, automotive, aerospace and military. 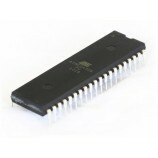 It is an industry leader in microcontroller and touch systems, notably for embedded system. Atmel’s corporate headquarters is in San Jose California. It has large locations in Trondheim, Norway, Colorado Springs, Colorado, Chennai, India, Shanghai, China, Taipei, Taiwan, Rousset, France, Heilbronn, Germany, Whiteley, UK and Munich, Germany, in addition to a number of other worldwide sites. Atmel is pursuing a “fab-lite” strategy, making much of its product line at vendor fabs. It owns a facility in Colorado Springs that manufactures its XSense line of flexible touch sensors.